Published July 30, 2015 at 2304 × 3072 in Marco Raffine Fine Art Oil-Based Coloured Pencils – A Review. 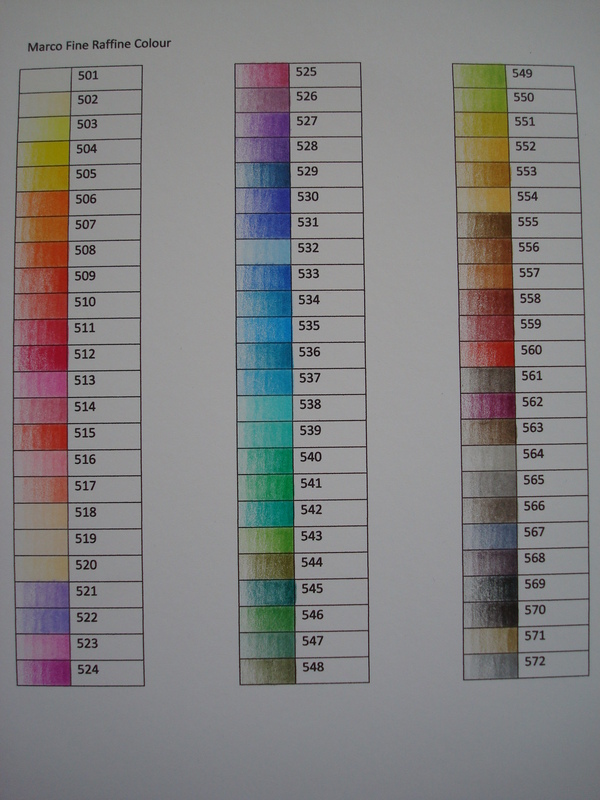 They don’t have shade names, as you’ll see from my colour chart I just use the numbers that are written on each pencil to identify them and I keep them in the same order they arrived in the box in to make it easy to find the correct colour each time. Sorry I can’t help more than that but I’ve not found shade names anywhere for these pencils. is there any way to order just the colors i need? Sadly no there isn’t. They’re only available in sets, not in open stock.